What if you could follow the development of a brand new sourcing organization covering several countries? What the initial decisions were, what actions that were taken, how the development progressed and what lessons learned that can be shared. 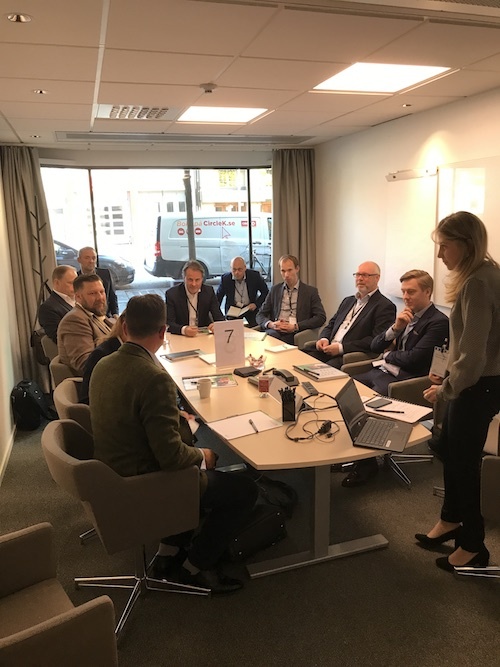 EBG | Network are happy to welcome back Katarzyna Fabianska, Indirect Sourcing Director at DeLaval to Source 2 Pay Summit 2019. The summit – the 9th annual – take place March 28th in Stockholm. EBG first learned from Katarzyna about two years ago – then in the early days designing an indirect sourcing organization from scratch. No easy task. Indirect spend stood for 50% of company spend and the entire process set up and ways of organizing and progressing was to be designed and decided upon. What has happened since? What are the lessons learned? We have named the Theme Discussions – round table discussions – moderated by Katarzyna – How do you overcome the challenges creating a new function and changed ways of working? You register >>here and will be able to choose what round table sessions to join prior to the summit, ensuring the best possible experience exchange possible. Their vision is to make sustainable food production possible. DeLaval supply system solutions for milking, herd management, animal traffic control, feeding, cooling, manure handling, ventilation and energy recovery. Their solutions are used by millions of dairy farmers around the globe every day. DeLaval was founded more than 125 years ago in Sweden, when the visionary Gustaf de Laval patented the cream separator. Today, DeLaval has 4500 employees and operates in more than 100 markets. DeLaval, alongside Tetra Pak and Sidel, is part of the Tetra Laval Group. Service and sales of a wide range of accessories are also key aspects of DeLaval’s operations. Net sales for DeLaval reached €980 million in 2017. The Tetra Laval Group consists of three industry groups, Tetra Pak, Sidel and DeLaval, all focused on technologies for the efficient production, packaging and distribution of food. The head of each industry group has operational management responsibility for the respective industry group and reports directly to the Tetra Laval Group Board. The Group Board is responsible for the overall strategy of the Group and for controlling and super- vising all of its business operations. The chairman ensures the implementation of the Group Board decisions and the implementation of strategy and policy for the Group. Since 2019 will be the 9th annual year Source 2 Pay Summit is held – we continue to look ahead by also looking back. What can we learn from “what happened then?” discussions? Where we can refer back to what was, what was intended, what became and what will? We put a lot of focus on the people aspect when developing sourcing, procurement and finance strategies and operations as part of an end-to-end process. We also put a lot of focus on the role technology has supporting that aspect. Source 2 Pay Summit is not a fair and do not offer easy answers – what we do offer are competent professionals who are eager to share and learn!